Customer experience is increasing in importance, and leading retailers are increasing their investment in technology to launch new CX initiatives. This report explores where retailers are falling short when it comes to delivering customer experience, and how retail marketers can leverage these technologies to enhance your CX strategy. 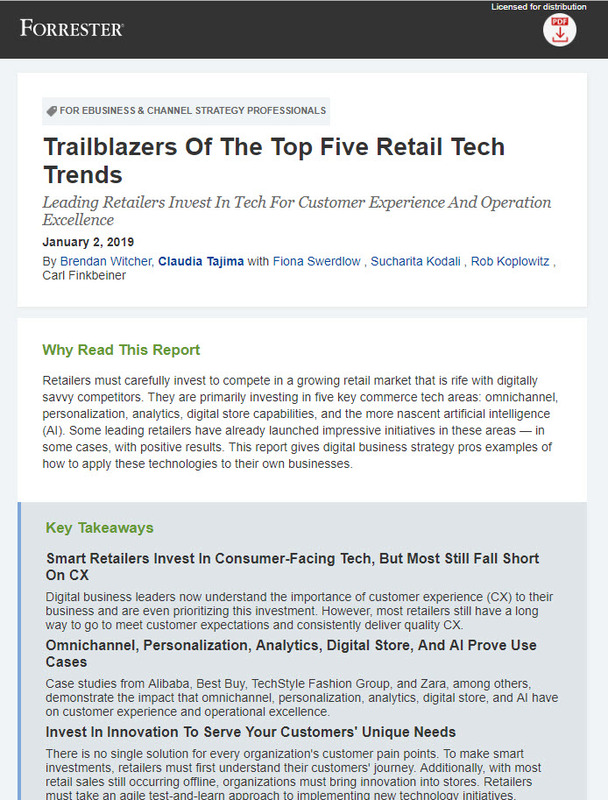 Download this complimentary report to read case studies from top retailers who incorporated popular tech trends into their CX strategy and get recommendations for implementing new technology and initiatives within your organization.